The barbecue is one of the most important items you’ll need for a gourmet, grilling summer. From burgers, to steak to even full chickens you can make almost any meal or protein on the barbecue! However, have you ever considered grilling up your favorite dessert or fruit on the grill? Not only is this a fun, no fuss way to create dessert, you’ll be able try new combinations on the grill that you may never have tried before. Keep reading below for 3 ways to make dessert on the barbecue. You have tried this banana treat over a campfire, but what about trying it on the BBQ? Simply slice a full banana down the center and stuff with your favorite ingredients! We suggest combinations of the following: chocolate, caramel, mini marshmallows, nuts etc. Fill in the sides of your banana and wrap the whole banana (peel included) in tinfoil to create a boat shape. Once wrapped, grill on the barbecue until chocolate has melted about 6-8 minutes. If you are looking for a fun twist on a traditional dessert, look no further! Start by slicing shortcake of your choice (homemade or store bought) in to square bites and set aside. Next, slice your strawberries into similar sizes and start layering the fruit and cake on pre-soaked wood skewers. Grill these skewers over medium heat until golden brown. Top with fresh whip cream and caramel sauce for an indulgent dessert! Last but certainly not least, if you’re looking for a slightly healthier yet delicious dessert, look no further! Grilled peaches are a great dessert to serve to a large crowd and can be served with almost any topping you like! 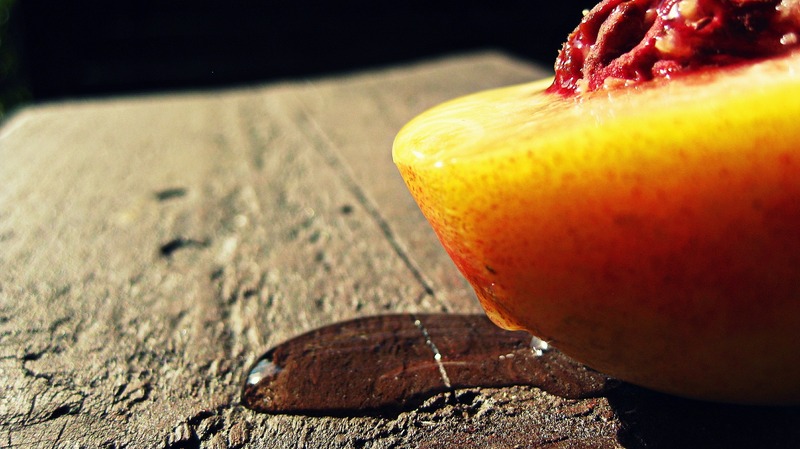 Start by slicing your peach in half and removing the pit. Lightly grease your grill and place the peaches face down onto the grill. You can prepare a small glaze of butter and cinnamon to brush over each side of the peach if you prefer some extra flavor. Flip the peach half after about 2 minutes or until grill marks appear. Once your peach is warm and grilled, add your favorite toppings such as: whipped cream, ice cream, cottage cheese or even just a slight sprinkle of brown sugar. So the next you’re looking for a fun dessert idea, consider firing up the grill and throwing on your favorite treat. You’ll enjoy a great summer dessert and it gives everyone a reason to get outside and enjoy the summer months! Do you have a favorite grilled dessert? Share it with us below!